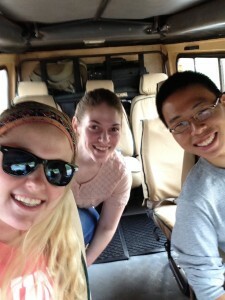 The renewable energy team on their way to Peter’s farm in the safari vehicle. 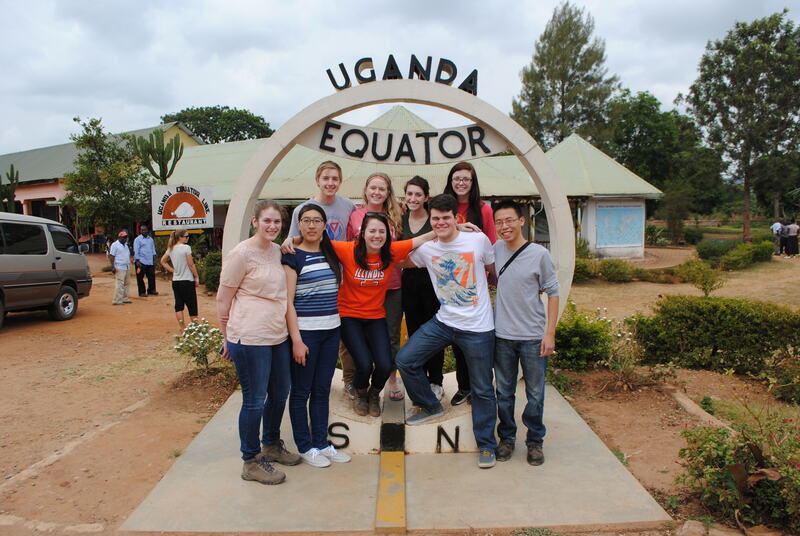 First stop, the equator. The student travel team poses for a photo together. 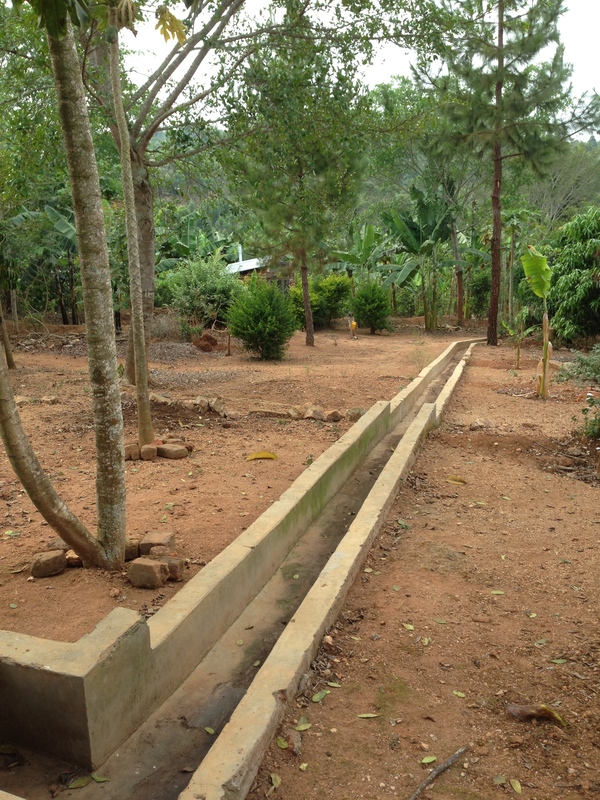 Guided runoff system for pig waste at “Peter’s Farm”, the Rural Uganda Community Support Center. 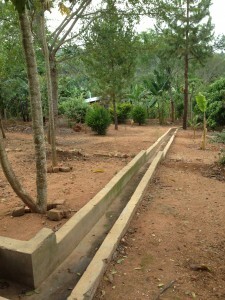 Waste is collected and used for fertilizer. 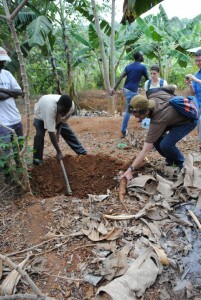 Digging up Cassava, a local tree. 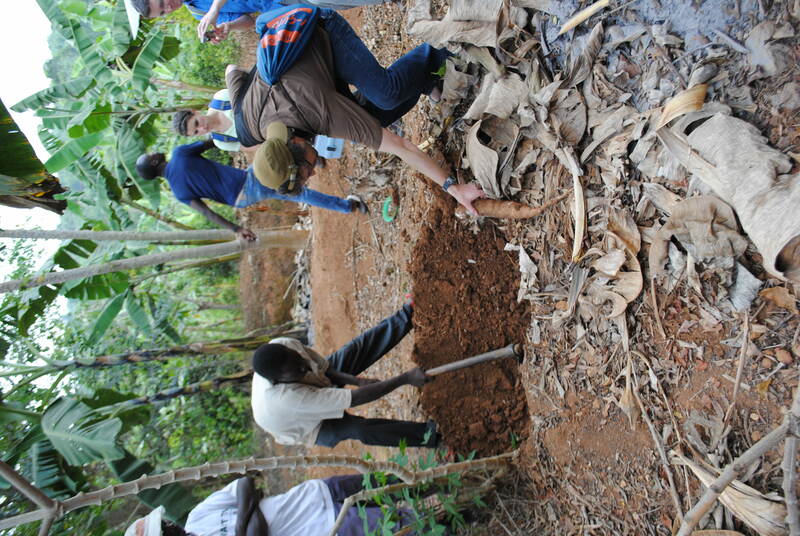 The tree is used for many things such as eating the root, providing lumber, easy to replant using grafts, and can be used to make cement. 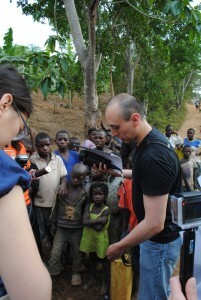 Local children swarm the well at Peter’s farm as we start water quality testing. 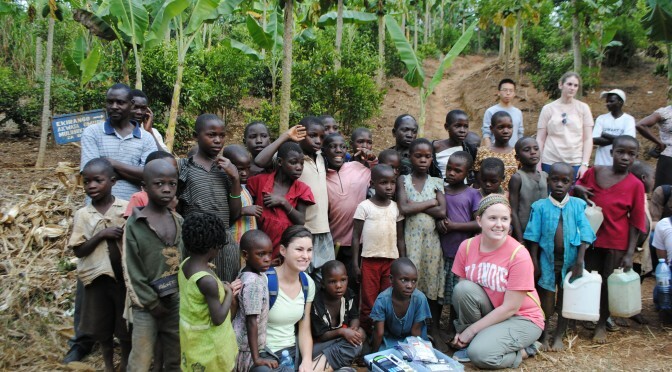 Lauren, the rural community children, and I testing ammonium and ammonia. 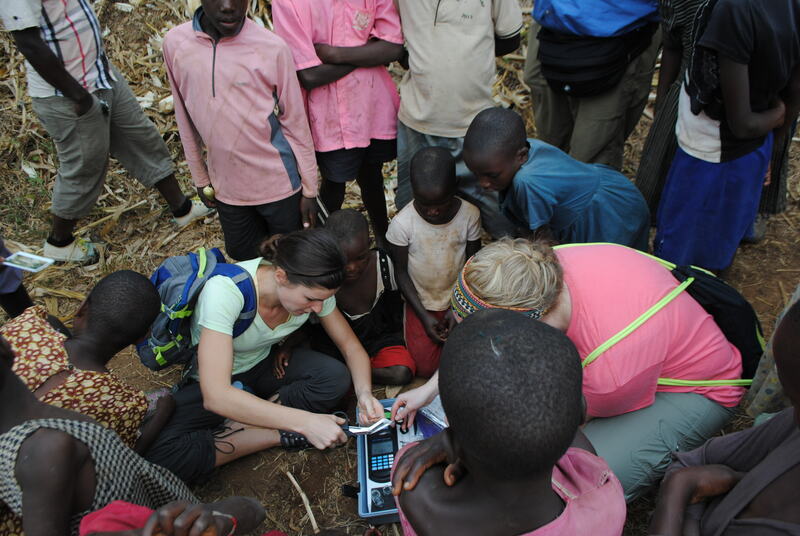 The children were so fascinated by us and what we were doing. 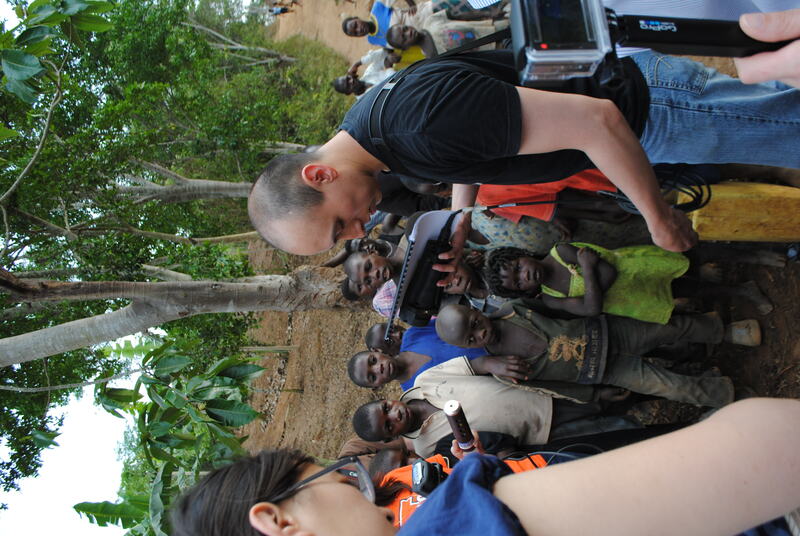 It was great interacting with the community who we are trying to help. On site water quality testing. 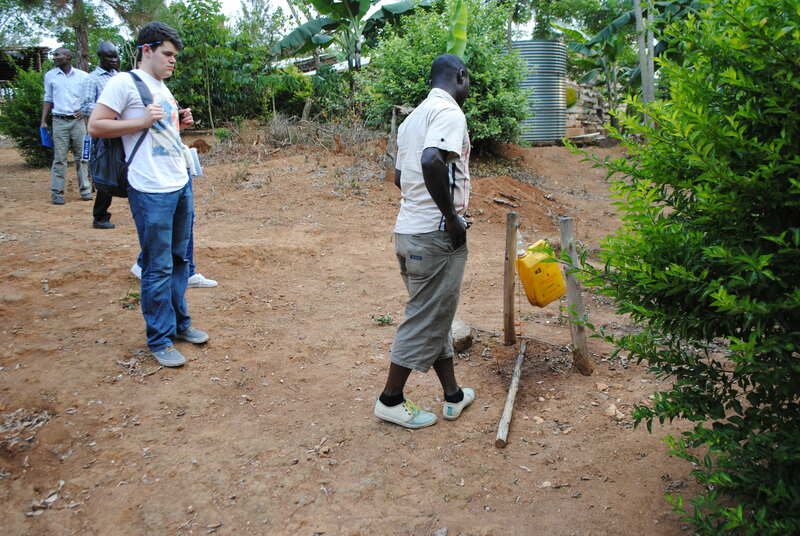 Tip tap hand washing station. 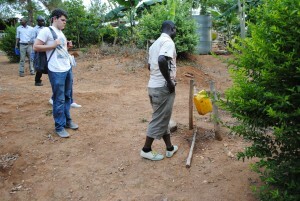 Peter’s farm was very sanitary compared to many other communities we later toured. 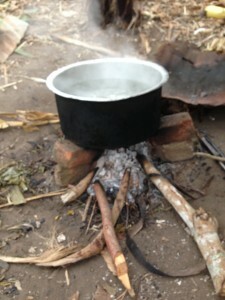 All water we used at Peter’s was boiled before use. Did you know the proper way to boil water for drinking is to keep it at rolling boil for 10 minutes? 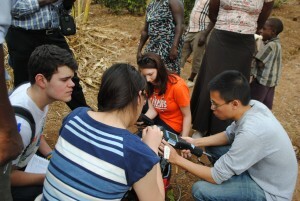 Peter feed us with so much fresh fruit from his farm while we stayed there. 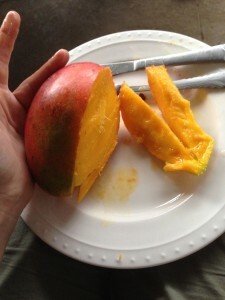 My hands down favorite was the mangos, while we also ate bananas, jack fruit, grapes, and oranges. 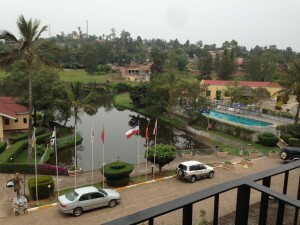 Lake View Hotel in M’barara, our home for the next four nights while we are doing work at the Oruchinga Refugee Camp.